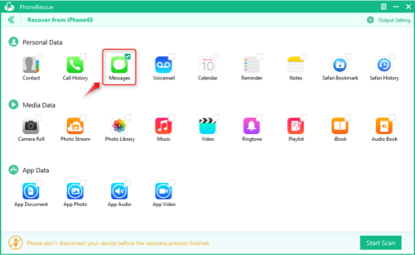 Learn how to use PhoneRescue to recover lost data on iPhone. It is easy-to-use but powerful in recovering up to 22 types of lost data. 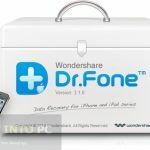 PhoneRescue is well designed to bring your iPhone lost data back no matter how the situation turns out. 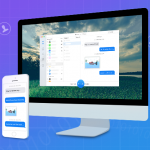 It focuses on retrieving Personal Data, Media Data and App Data on iPhone, such as, messages, contacts, photos, music, app document and more. 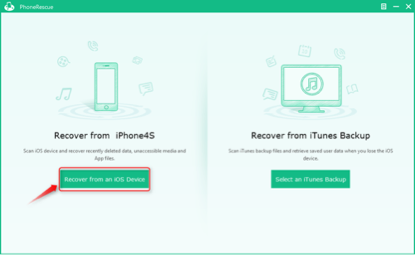 Thanks to its multiple recovery modes, PhoneRescue allows you to recover from iOS device, recover from backup and iCloud(which is coming soon). You can also get more detailed information about PhoneRescue on their company web. To retrieve your lost iPhone data you can download PhoneRescue from the Button below. First of all, download and install PhoneRescue. The whole recovery process will be done in few steps as below. Step 1: Open PhoneRescue on your computer. Step 2: Connect your iPhone to the computer. Then select Recover from an iOS Device. Step 3: Select Messages for scanning, then click Start Scan button. PhoneRescue will begin to scan Messages, and it may take 1-2 minute. 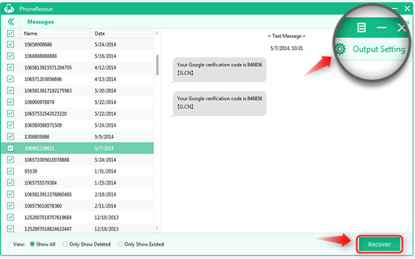 Step 4: Click the Message button to preview and select text messages you need. Tip: Before recovering, you can tap the Output Setting button on the top-right of the screen to choose the format and destination of your messages. Step 5: Click Recover button to retrieve your deleted text messages on your iPhone. Note: Besides recover lost messages on iPhone, you can also bring your deleted-but-valuable photos back with PhoneRescue. There is also a complete and detailed guide on how to recover deleted photos on iPhone. Follow to get your lost photos back in few minutes. 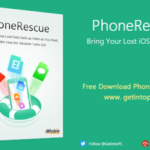 PhoneRescue is unbelievably useful whenever you lost your iPhone data accidentally. 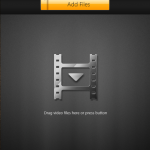 It is also applicable to recover lost data on iPad and iPod. In addition, it is readily acquired and applied by users with its intuitive and straightforward interface. Have a try on PhoneRescue yourself now! Let us know if you have any question on this tutorial or PhoneRescue. You can comment below and we will explain further it to you.